I shared this picture on my Instagram feed last year and thought I just had to share the recipe for it as it was so simple and easy to make. 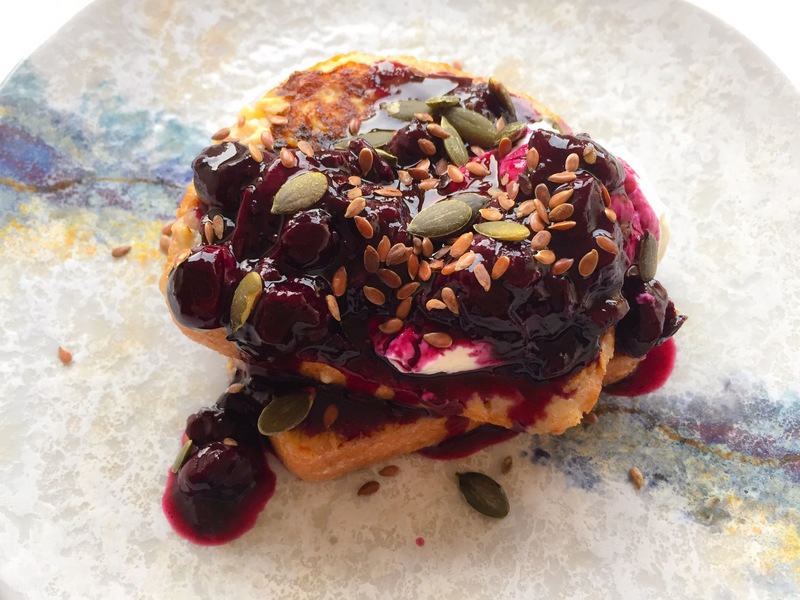 It makes a great breakfast at the weekend or even during the week as doesn’t take long to make, especially if you make the compote the night before. 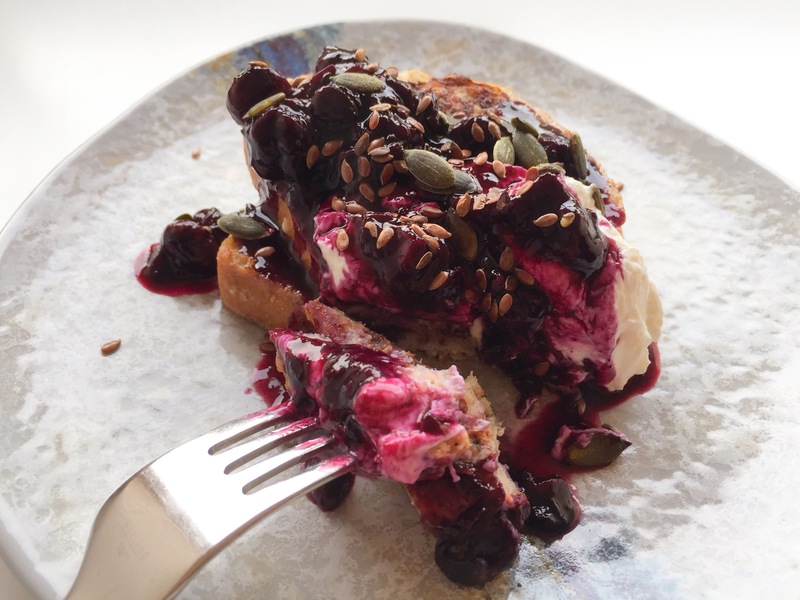 It is also refined sugar free (if your bread doesn’t have any sugar in) but still very sweet and feels like an incredible treat. Mixing a banana with the eggs makes the egg mixture lovely and sweet without having to add any refined sugar. The compote is sweetened with maple syrup, if you want it to be sweetened, sometimes the berries are sweet enough. I put Coyo coconut yogurt on top but any plant based yogurt or dairy yogurt would go very well. For the compote, gently heat the blueberries in a pan until they soften, release their juice and turn a deep purple. Take off the heat, stir through the maple syrup (if required) leave to cool. In a frying pan melt 1 tsp of coconut oil. Place the egg coated bread into the frying pan, cook on one side for a few minutes then turn over and cook until both sides are golden. Repeat for the second piece. 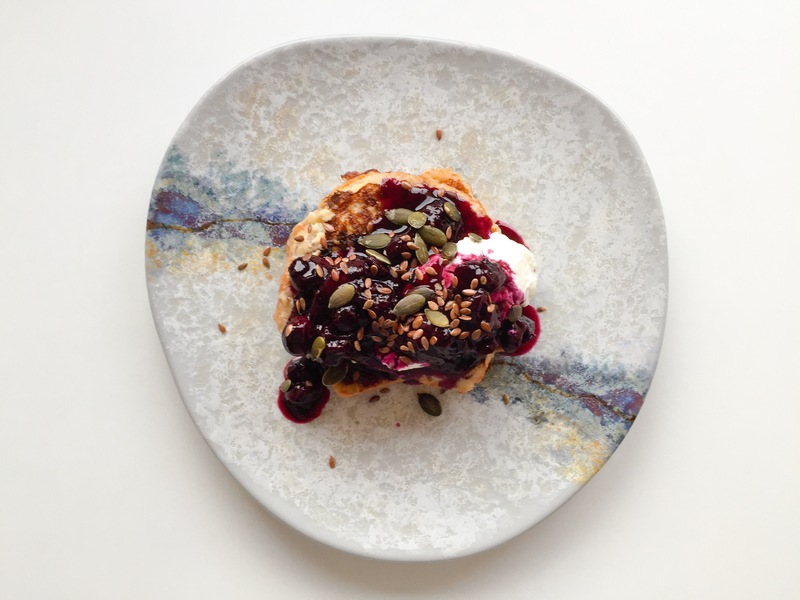 To assemble place the banana toast on a plate, top with coconut yogurt, the blueberry compote and finally sprinkle with seeds.